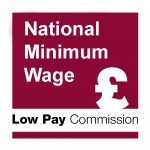 Every year the LPC commissions research projects to help evaluate the effects of the minimum wage rates we have recommended. The reports summarised below informed our 2018 Report. 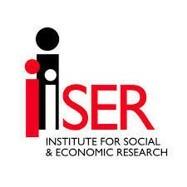 The two ongoing projects (ISER and IES) will continue to add to our knowledge and help us with our 2019 Report. The research we commission is vital for our understanding of the effects of the minimum wage rates we recommend. Over the last 20 years our commissioned research has helped us to successfully fulfil our remit of raising pay for the lowest-paid without causing unemployment. We are very grateful to the passion and commitment of academics from the UK and beyond who have put time and effort into what is a vital area of research, with a real impact on people's lives. The National Institute of Economic and Social Research investigated the impact of the introduction of the NLW in April 2016 and its subsequent uprating in April 2017, assessing the effects on pay and employment. The authors concluded that the NLW had been a significant intervention in the labour market, raising the wages of the lowest paid, but that it had so far had little adverse impact on employment retention overall. Using Annual Survey of Hours and Earnings data, they found no robust effect on general employment retention or hours worked, but did find some tentative evidence of negative effects on employment retention in the retail industry and among women working part-time. The main aim of this research project from the London School of Economics was to provide a deeper understanding of how minimum wage policies have affected automation and offshoring, focusing on the impact on those workers with low or no qualifications. This work built on a previous study – Lordan and Neumark 2018 – using US data that had found significant negative effects of minimum wage increases on employment via automation, especially in manufacturing. Using the UK Labour Force Survey, the key findings were that minimum wage increases were followed by decreases in the share of employment in occupations defined as offshorable or automatable. However, these effects were modest – much smaller than in the US study – and were slightly stronger for automatable employment than offshorable. There were larger effects in manufacturing, particularly on automation. Here, a £1 increase in the minimum wage led to a 0.58 percentage point decline in the share of automatable jobs. The effects were largest for low-skilled men and older workers. The study concluded by speculating about the future of jobs, suggesting that some low-skilled jobs were expected to continue (such as those in social care, childcare and hairdressing) while others were more likely to disappear completely (such as delivery drivers and security guards). The Institute for Social and Economic Research is investigating the impact of the NLW on earnings, pay differentials and pay progression. Final findings of this 18-month project will be presented in time for our 2019 Report. Consistent with previous research on progression, the study found that although around half of minimum wage workers left their jobs for higher pay in a given year, most (four-fifths) of these moved into higher-paying but still low-paid jobs. It found that worker characteristics and regional differences affected the likelihood of transitioning out of low pay. They will investigate this further this year and also examine the impact on pay differentials. This Institute for Employment Studies project is an extended 18-month study investigating the impact of the NMW and NLW on employment and hours, including on young people. The interim report published today presents early findings from the analysis using the Labour Force Survey. This analysis found no significant effects on employment or hours as a result of NMW and NLW increases. Future analysis will focus on subgroups, such as women working part-time, and replicating the analysis using the Annual Survey of Hours and Earnings. The final research will be presented in time for our 2019 Report. The Low Pay Commission will shortly be launching its Invitation to Tender for research for the 2019 Report and beyond. This call will include research that investigates: the impact on businesses, particularly prices, productivity, profits, investment, and business creation (start-ups) and destruction (failures); the impact of the minimum wage on employment and hours, focussing on any substitution of workers by age; the impact of the minimum wage on pay settlements and pay structures; and employer responses to the NLW.